UPS Inc. plans to deploy a small fleet of futuristic, boxy-looking all-electric delivery trucks as part of a pilot program in London and Paris by the end of this year. Atlanta-based UPS ranks No. 1 on the Transport Topics Top 100 list of the largest North American for-hire carriers. These all-electric UPS trucks also will come equipped with the “Advanced Driver Assistance Systems,” which aim to improve safety and reduce driver fatigue. UPS says this feature comes with a “highly advanced” display that keeps the driver as connected with their truck as ever. 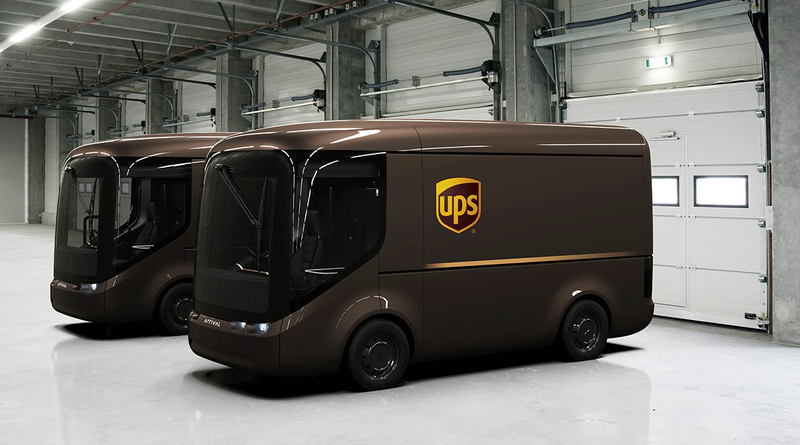 “UPS is working with Arrival here in the U.K. because their smart electric vehicles are helping to reduce dependency on fossil fuel,” Luke Wake, international director for automotive engineering in the advanced technology group at UPS, said in the release. “This is a pioneering collaboration that helps UPS develop new ways to reduce our emissions. While an innovative design, this hardly represents UPS’ first foray into the electric vehicle department. The company says it has more than 9,000 vehicles worldwide that use “alternative-propulsion methods,” and that it first introduced an electric fleet back in the 1930s in the United States. The carrier service said it chose Arrival because the firm was the first European manufacturer to provide it with a “purpose-built” electric vehicle fit to its specifications. The two have been working on the vehicle since 2016, according to the release. UPS said it has more than 300 EVs active in Europe and the United States, in addition to about 700 hybrid EVs. In December 2017, UPS placed an order with Tesla for 125 all-electric semi-trailers that will be built in 2019. “We’re excited to collaborate with UPS to create an affordable, modular, fully electric delivery vehicle designed to make deliveries in our busy cities clean and quiet,” Arrival CEO Denis Sverdlov said in the release.